Here’s another teacher workday program that could work for preschool-aged or school-aged children. In my advertising, I said it was best for ages 2-8, but 12 and under were welcome. 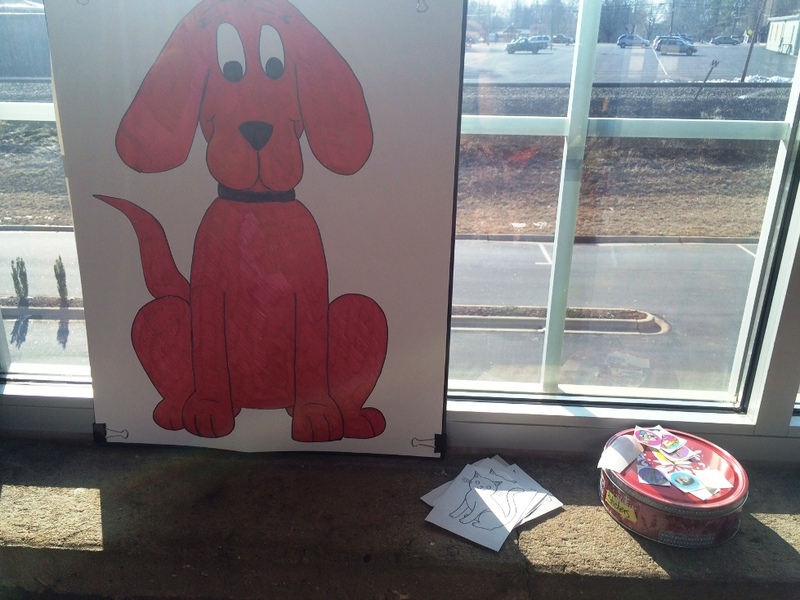 Clifford the Big Red Dog is one of those classic characters that still enjoys some popularity with new generations of kids. Parents love that he teaches lessons on friendship and kindness and helping others. I think his messages are perfect for the prek-2nd grade crowd, and I was so excited when I saw the author’s birthday coming up in February. I checked the school calendar and found a teacher workday for offering this program at my library. There was a hitch in the plan when snow days erased the teacher workday, but some schools and preschools were still out for snow, so we still had a good turnout. I started out with a short storytime featuring a couple songs and a Clifford book. We did a version of Teddy Bear, Teddy Bear, but instead, I said, “Red dog, red dog.” Then I sang If You’re Ready for a Story to the tune of If You’re Happy and You Know It, and including some dog actions (wag your tail, give a howl, dig a hole). 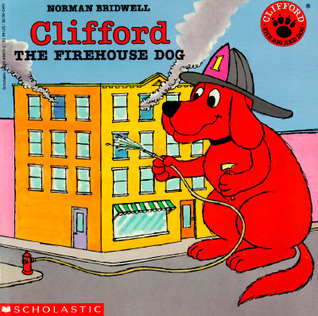 I chose Clifford the Firehouse Dog because I saw some potential to partner with our local fire department to teach kids about fire safety. They were happy to help, so after I finished reading the story, a fireman came to briefly talk to the kids. They also got to go outside and explore the rescue fire truck. They were allowed to climb into the fire truck and try on a helmet. Lots of photo ops for parents and grandparents! After the truck drove away, I led children back into the library for a few relaxing crafts. To make a dog biscuit, kids scooped out a little clay, flattened it on our table cloth, cut with a cookie cutter, and peeled away the excess. I had beads, jewels, pom poms, and feathers to add. I also added some plates for adults to take them home to dry. 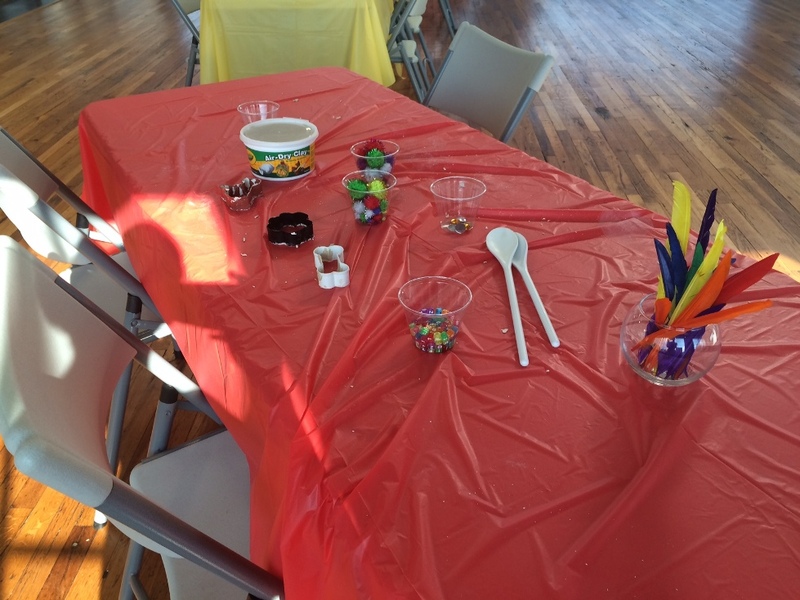 The kiddos loved this activity. 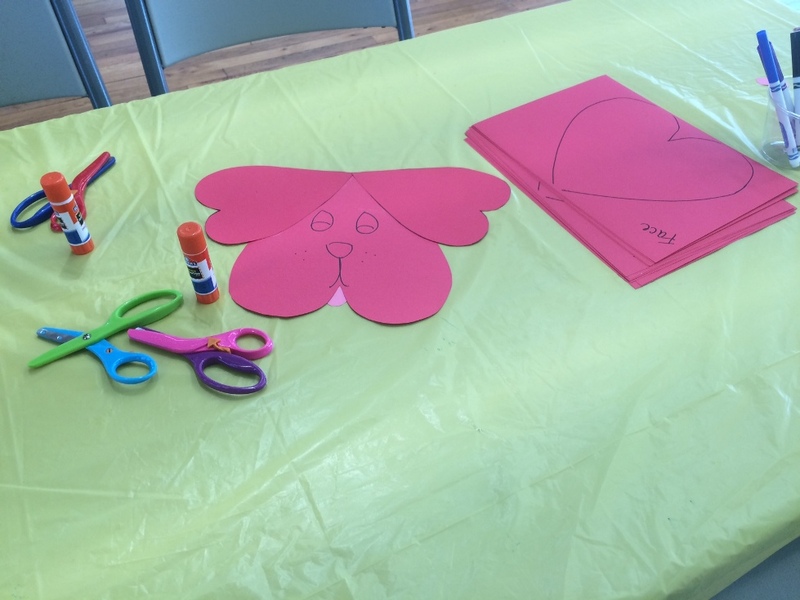 A Clifford puppet was really simple to prep. I just drew a template, copied it onto red cardstock, and put out supplies to cut it out and draw a face. I also had big popsicle sticks that could be added. Finally, I had a simple coloring station as well. 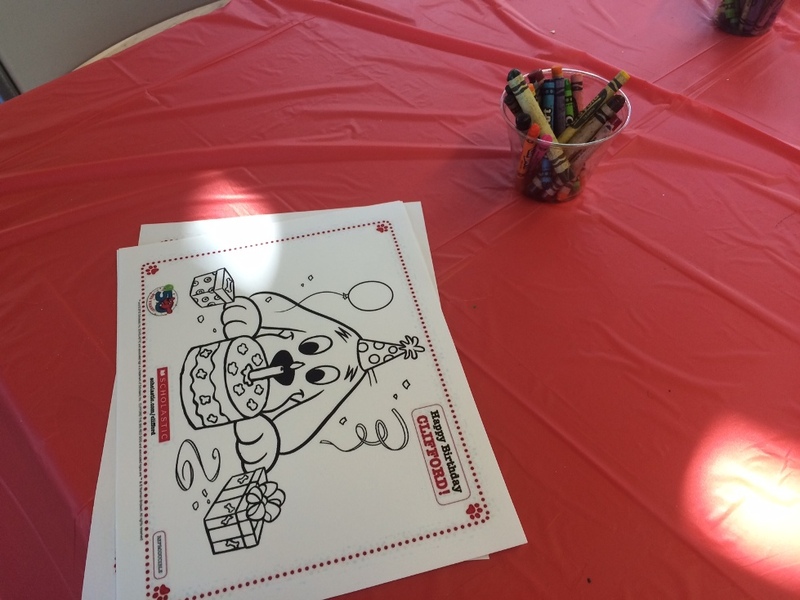 For kids who were on the older side, I asked them to fold them in half and decorate the blank sides as a birthday card for Clifford. This event went really well. We had a good crowd despite the weather complications and it reminded me just how much I love to do programs for the preschool crowd. Their little faces as they asked me why Clifford wasn’t there broke my heart, but they loved the fire truck and the crafts. I got lots of little hugs.